When the crew aboard the research vessel Sonne set out on a cruise last spring, they were expecting a routine mapping expedition in the South Pacific. But they were in for a big surprise. They ended up witnessing one of the fastest episodes of volcano growth ever documented on Earth. The Monowai seamount, an underwater volcano located north of New Zealand, erupted during the expedition and added about 300 million cubic feet (9 million cubic meters) of rock to its summit — a volume equal to 3,500 Olympic-size swimming pools — in just five days. 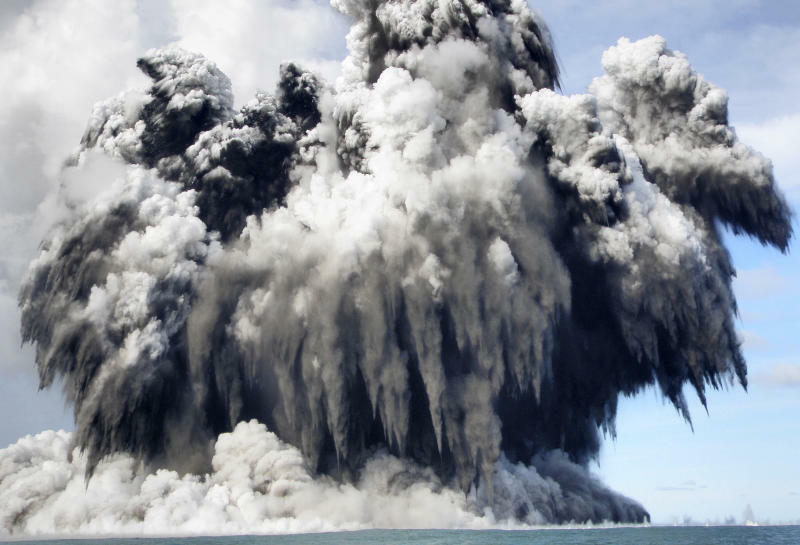 His team's findings indicate that submarine volcanoes, some of the Earth's most mysterious features, may shrink and swell in dramatic pulses of activity. As they surveyed the seafloor near Monowai seamount, which lies at the intersection of the Pacific and Indo-Australian tectonic plates at the Tonga-Kermadec subduction zone, Watts and other scientists aboard the ship noticed yellow-green water and gas bubbles rising above the volcano. 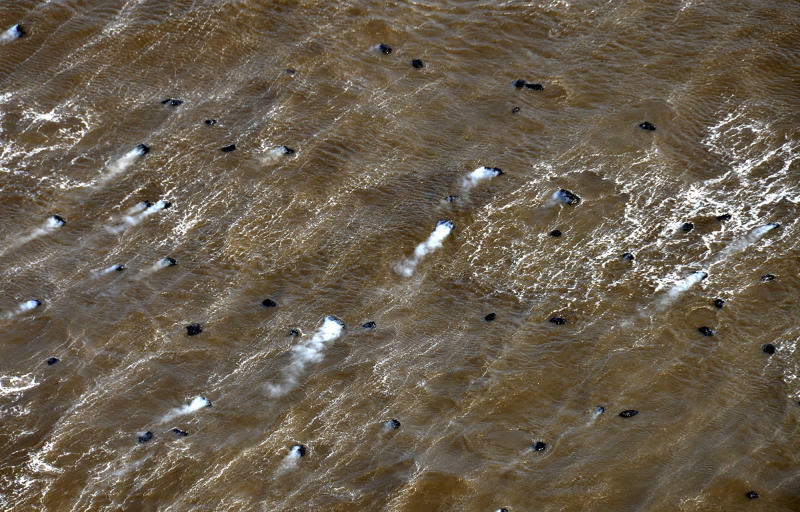 "As the ship was leaving the area, we went through a patch of discolored water with a very strong smell, like rotten eggs," Watts told OurAmazingPlanet. "We suspected that maybe the volcano was venting gases, but we didn't know that it was about to erupt." A week later, while surveying another area, Watts got some compelling information. A seismic station in the Cook Islands had detected an intense five-day swarm of seismic activity and traced it to an eruption at Monowai seamount. Watts and the ship returned to find that parts of the volcano had collapsed and grown in dramatic fashion. Using advanced bathymetry tools, the scientists saw that a large section of the volcano's flank had collapsed — a volume equal to about 630 Olympic-size swimming pools. The peak of the volcano, however, had grown by 236 feet (72 meters), adding 3,500 swimming pools' worth of volume to the summit. The new material was most likely magma that had erupted and hardened the week before, Watts said, but the cause of the collapse is less clear. The hydrothermal venting they'd noticed during their first visit (the source of the discolored water and rotten egg smell) could have weakened rocks in the volcano's flank, or magma moving around inside the volcano could have made the flank collapse, Watts said. To account for Monowai's growth between 2007 (the last time Monowai's height was measured) and 2011, the volcano would have needed 10 to 13 events like the one Watts' team documented. That's about 2.5 large, quick eruptions each year, with relatively long pauses between each eruption, Watts said. "It's quiet most of the time, then punctuated by these violent eruptions, so in that sense it's pulsating," he said. "It may not be regular, but we've got some idea now how frequently they occur." Submarine volcanoes like Monowai are much more difficult to study than volcanoes on land, which can be monitored with techniques that can't penetrate ocean waters. 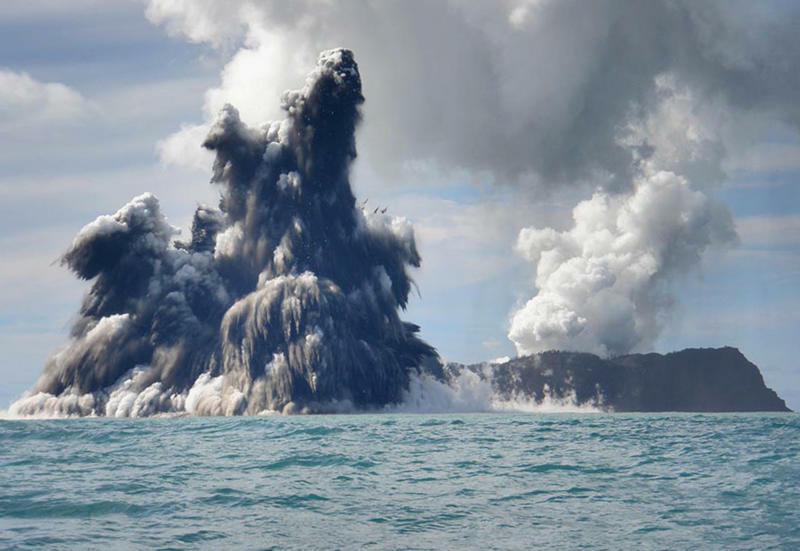 Because so little is known about submarine volcanoes, it's unclear whether others also grow in rapid pulses, or whether Monowai marches to its own beat, Watts said. "Terrestrial volcanologists get very excited when they see differences of 10 or 20 centimeters," he said. "What we've seen here is on a scale that has rarely — if ever — been repeated." The team's findings were published online May 13 in the journal Nature Geoscience.